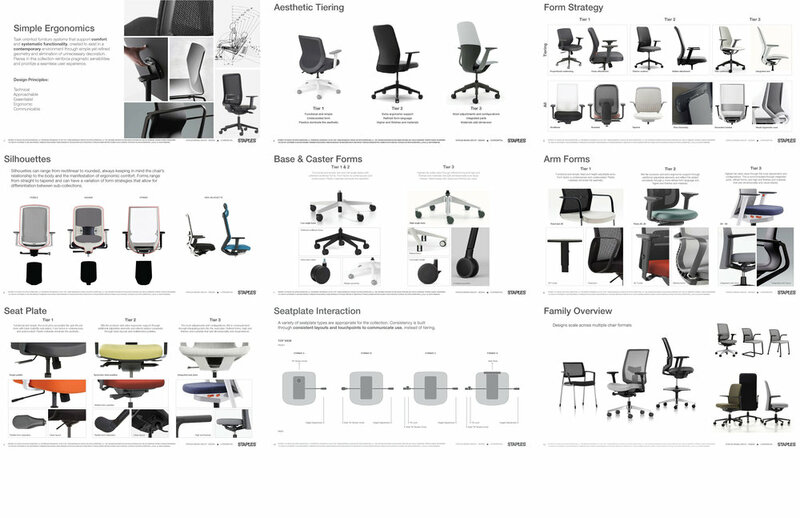 Staples’ existing office furniture assortment is a heritage collection of unsystematic piece by piece additions driven by sales history and buyer’s personal preference. The design team was engaged to organize the assortment and provide reasoning behind each product. The end result is a new brand of furniture with systematic aesthetic families and sub collections. 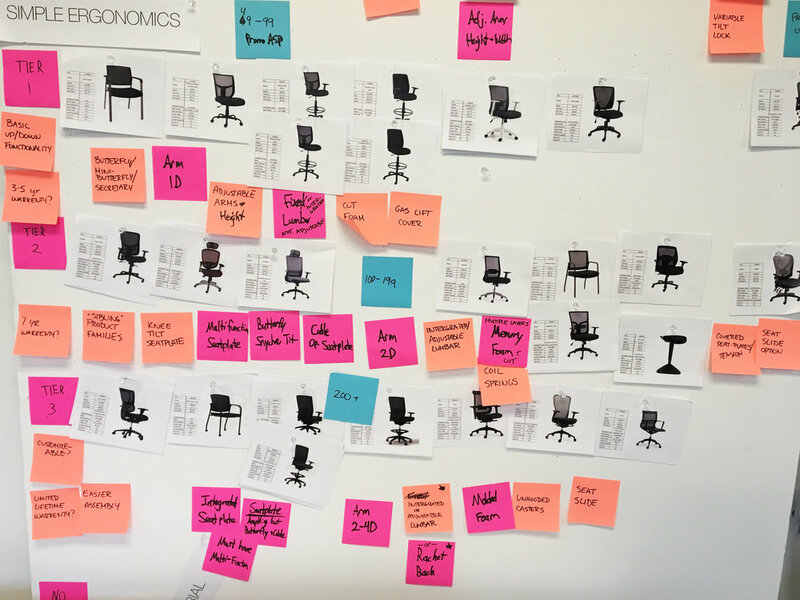 A new office furniture brand exclusive to Staples will be launching in 2019. Within the brand there are multiple collections of updated, user-centered product that help users to work comfortably and be more productive. Updating an outdated assortment with strong personal advocates and a long history of sales growth had to be done with great care and a user centered mindset. We focused on listening to key stakeholders and educating and inspiring all who were participating in the process. In order to educate ourselves about the industry and needs of our specific customers, we created a “get smart quick” research program. We collected all of the existing customer insights research and historic design projects and overlaid the insights over the extensive key customer persona data from the marketing team. Through this, we were able to highlight key challenges and areas of focus for the strategy of the assortment going forward. Based on our research we identified key aesthetic trends that are the appropriate fit for our target customer. 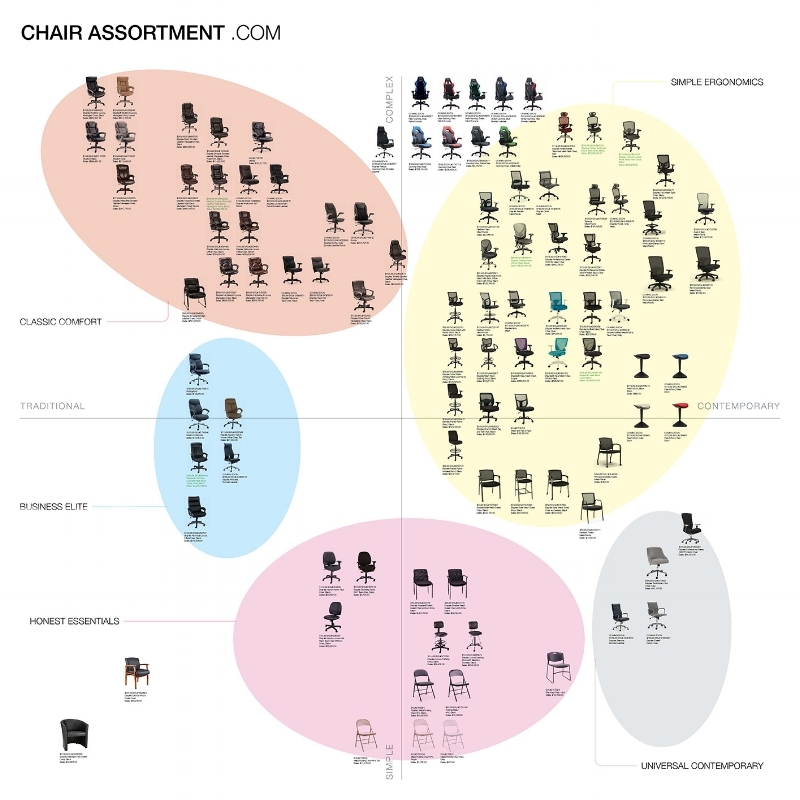 We organized the existing assortment to identify which products might be able to align with any of the future collections. We used matrices as a powerful visual tool to see the assortment through the customer’s aesthetic lense. In order to learn the details of the assortment, we ran multiple workshops with the merchandising and business teams to help them visually organize their product. We walked them through our philosophy on aesthetic organization and forged alignment between all teams. 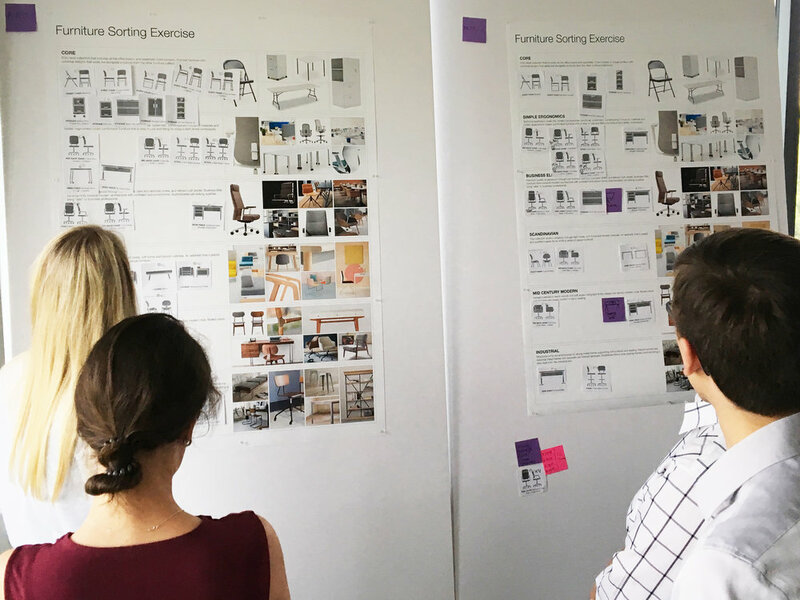 From here, we were able to identify areas of opportunity within the assortment to ultimately turn into furniture design projects. To prepare for the impending design projects, we needed to create DNA for the products that would ultimately be making up a new brand. In order to do this, we created style guides for each aesthetic collection that would be able to be used by the design and sourcing teams.